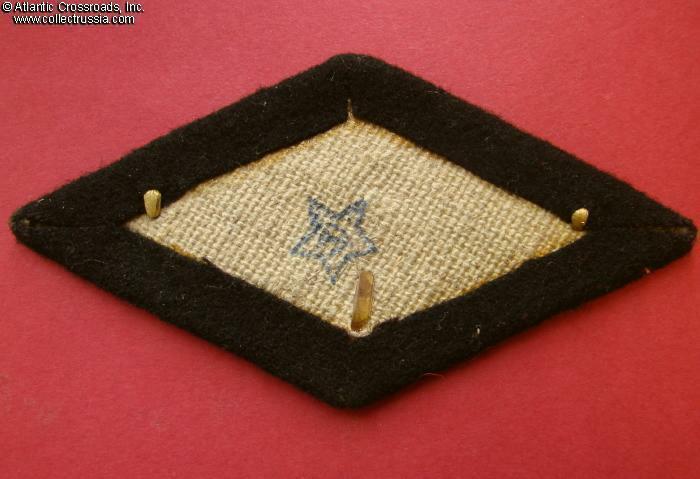 M 1947 Airborne Officer Sleeve Badge, Combat Engineers Branch, late 1940s - mid 1950s. The parachute wings part is stamped in gilded brass, approx. 71 mm wide; mounted on a 110 mm x 56 mm lozenge- shaped patch in olive drab wool with black piping for Combat Engineers branch. There is a quality control ink stamp on the reverse. In immaculate, near mint condition. The metal badge is perfect, with nicely preserved finish and crisp, untouched details. The attachment prongs are intact. The cloth part is likewise pristine, free of moth damage or wear. Shows only storage age, no soiling. 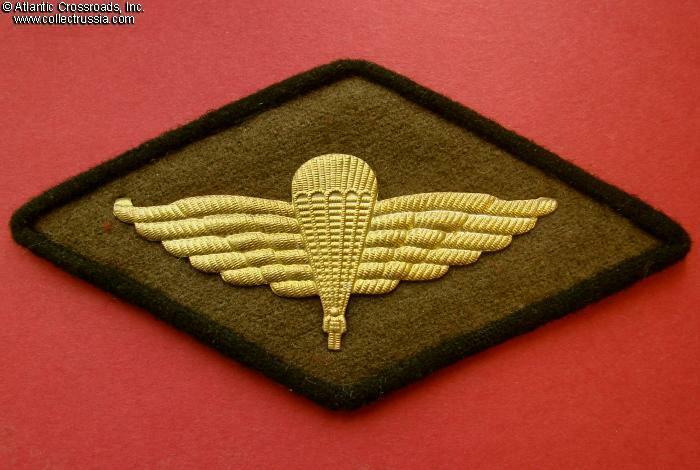 The badge was introduces as the only distinguishing insignia of the Soviet Airborne Troops formed a year earlier as an independent branch of the military. The gilded badge was intended for officers only, and its relief was supposed to imitate bullion embroidery. 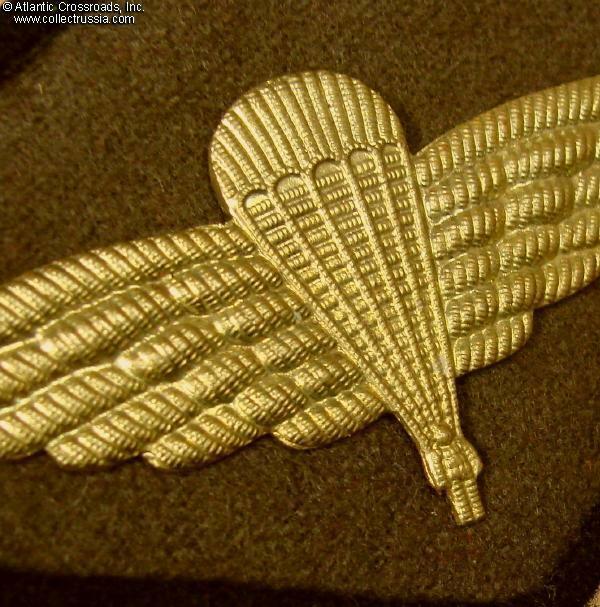 The diamond-sleeve badge for Airborne troops was canceled during the 50s. Extremely rare, especially in perfect condition.